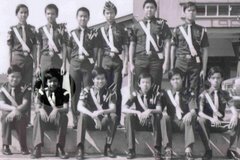 Kulai Brigade Alumni: 1976 Staff Sergeant Ho Ha Yin – Found! Thank you for reminding me of your detailed experiences with me when I was your senior. Please forgive me if I had in any way made you feel I was a bully. I am so sorry. I am also very sorry for not getting back to you after I got back from England. I have certainly failed in my duty as a senior. On the positive and bright side of things, I enjoyed very much of my youth as a BB boy. I just simply can't imagine my life without BB as a sanctuary. I only hang on to the good memories of BB life that has shaped my adult life similar to that of yours. All is not lost after a lapse of so many years. I did go back to BB at HQ level to serve as a training chairman and a member of the exco. I am still providing my training services to BB companies who call me to conduct training for their captains and officers including East Malaysia. I am glad you are running your own organisation. We can talk more during our reunion on March 3rd. Feel free to use the photos to promote sharing among ex 1st. Kulai BB members. How can you not remember my face! I used to challenge you why you always picked on me (my term - bullied) during our regular school camp under your command? Ha..ha… I will never forget about the nite you drove to Swee Lam estate on your father mini minor(very surprise on my end) and prep talk me into holding the BB fort until you come back from England. As I recalled, BB was in the depressing mode with low morale (including me) at that time due to the sudden change of management lead by Kodi, Mr. Tee, The bank manager (forgot his name). Partly because most of us are so used to the regime run by Mr. Phang, Lui, Kam, Boon Hong and the gang and the fun loving seniors like you are leaving town after their Form 5 studies one after another. FYI, I did hold the fort until 1979 but you never show up (still waiting) and I have to leave town to cari lobang. I left Kulai and spent 2 years at TAR’s college due to the influence of Kwok Wah and Ah Yam before moving to the States for my tertiary education. Started my career there as a software engineer and spent a good 12 years there until kena recalled for duty as an eldest son of a Chinese tradition family. I joined Oracle Corporation in Singapore in 1994 and left for varies Internet ventures during the dotcom era before starting my own consulting outfit 4 years ago. While deciding an uniform group for my son this year as he enters Sec One(BTW, he decided to join the Army Cadet instead of BB), I realize how important the BB experience had shaped my life during my formative teenage life. 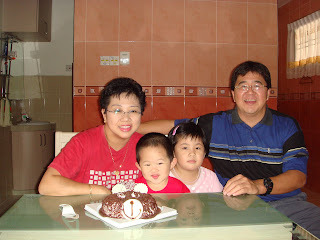 I started to research/blog about BB alumni, that’s when I’ve learned from Tet Long about the anniversary celebration. I got your name while googling around on the net. Remember your name was mentioned in a church article as Timothy Ho from 1st Kulai starting a BB branch in BP… Most amazing was I found your contact (by accident) listed as one of the referees in one of the Fujitsu ex-employee’s resume. Don’t ask me the person’s name as I have to live up with the confidentiality and professionalism.